The new Inklingo Basket Shape Collections are full of fun—full to the brim! There are at least seven things that make Inklingo Baskets extra special. You may already have Inklingo triangles in other shape collections, but the seven combo layouts make these new shape collections amazing. 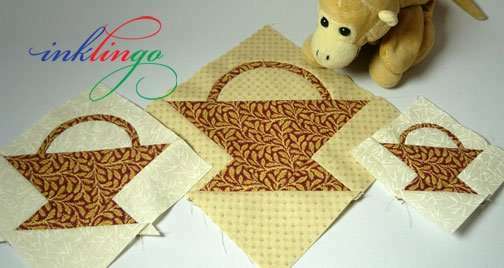 For example, Combo 4 (above) prints all the shapes at once (5 x 11) so you can mix and match for scrappy 4.5 inch Baskets. Matching marks! Can you imagine piecing a handle like this without matching marks? I can’t! 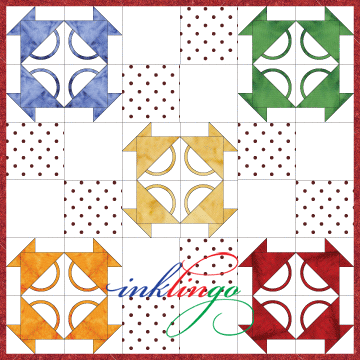 With the lines printed on the fabric with Inklingo, the whole block can be pieced. 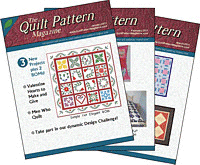 This is fabulous for quilters who normally avoid appliqué but love baskets. 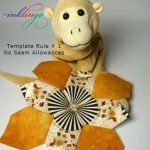 Monkey and I started piecing the handles when I was making Quilted Diamonds more than a decade ago. We used freezer paper templates in the olden days. 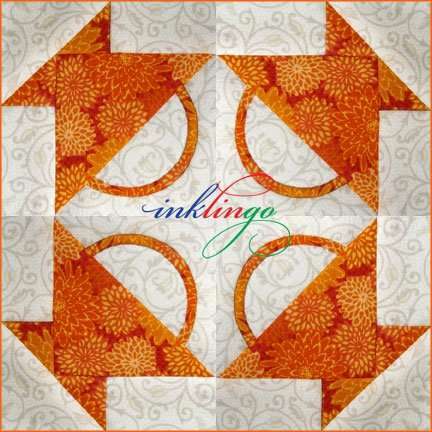 It is even better when you print the shapes on fabric with Inklingo. 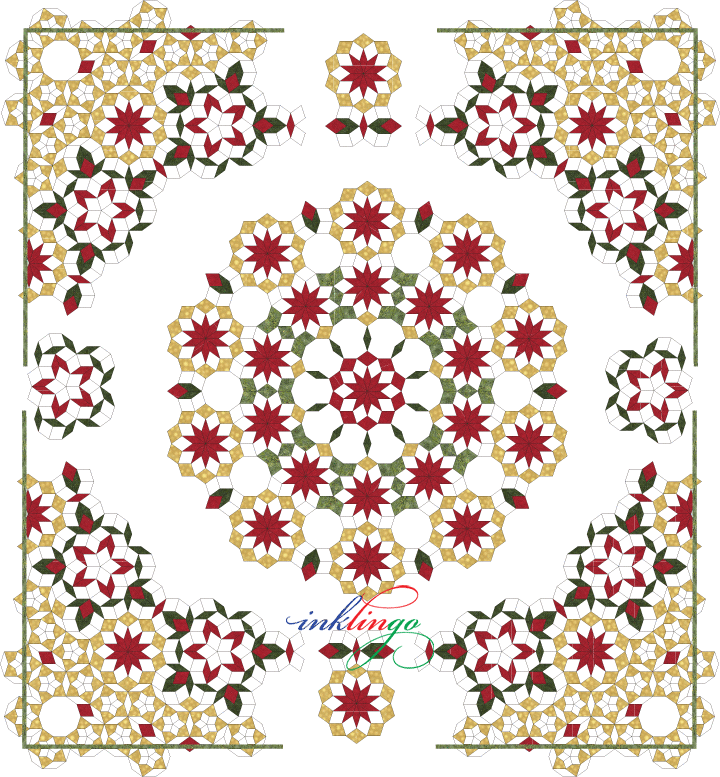 An appliqué template can shift. If the handle on a small block shifts 1/8 of an inch it can spoil everything. Hooray!! If you piece it, you know the handle is positioned precisely. WOW. If you haven’t tried back-basting appliqué yet, these baskets are full of treats! Why do we rave about back-basting appliqué? There is less preparation and each piece is always perfectly positioned. We think you will be amazed how fast it is to back-baste the handles, and we have added hearts and flowers to tempt you too. 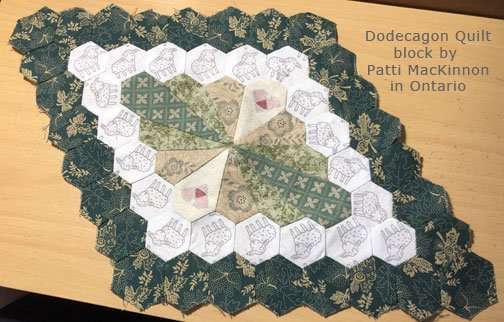 We might even convert a few die-hard piecers to appliqué lovers! 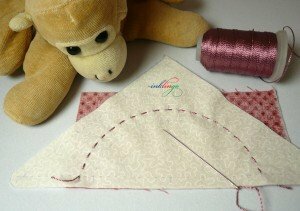 There is a whole chapter about applique in The Inklingo Handbook and it focuses on back-basting. When I started this little adventure, I just planned on making 6 inch Baskets. They are perfect set on point with the On-Point 6 inch Triangles. I liked sewing them so much, I decided we needed 4.5 inch Baskets too. After all, there are On-Point 4.5 inch Triangles. Is 3 inches too small? I had to try it. Oh me, Oh my! 3 inch Baskets are so cute I can hardly stand it, but they are not for sissies. The pieces are small. You will either love them or hate them. This means a new shape collection for On-Point 3 inch Triangles is coming soon too. Blame it on Monkey, okay? Basket blocks have been popular for a very long time and it is no wonder. There are a gazillion ways to use baskets. We included a few worksheets to get you started. Faster preparation, no measuring, no templates, perfect straight grain, efficient use of fabric, exciting designs. These baskets have all the usual advantages you expect from Inklingo. $25 is great value, but $20 is even better. How can you resist? Hurry! The special sale price ends on Friday, November 8. Don’t wait any longer! Hurry to enter the draw by leaving a comment, not here, but here. Please do not enter more than once. Coming soon! Our best tips for back-basting and more ideas for cutting and sewing Baskets. If you don’t want to miss anything, please subscribe to get an email when I add new articles (top of right sidebar). If you subscribe to the blog, you will always be the first to know about new collections and the special intro price. Please tell your friends about the new baskets. We think they will thank you! Stay tuned, okay? Our baskets are full of ideas. New to Inklingo? 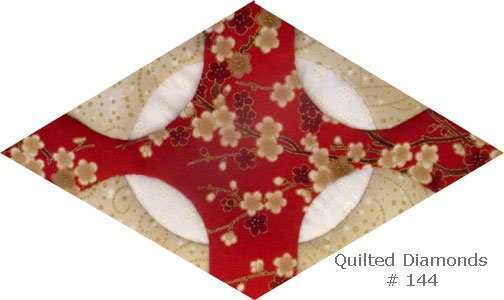 Order and download free shapes and start sewing in the next few minutes. Quick Start (Always FREE.) There are triangles, diamonds, and squares in the free collection—great for dozens of different blocks. 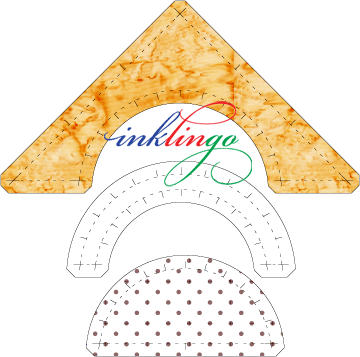 Have you like the Inklingo FB page yet? If you haven’t, please do. Thank you! and now will consider making it since it’s Inklingo-able! Oooooh those 3 inch baskets are way too cute. My brain is bursting with ideas! Love baskets and love applique! Thanks so much Linda and Monkey! Now to plot a baskets quilt….. These are so cute (and so tempting)! As usual, you’ve made this collection flexible :-). Love this new idea (to me) and those baskets look so cute!! Fantastic Linda, these look like tremendous fun – I love baskets. 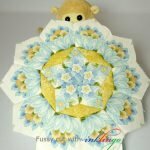 I’m still playing with the hexagons but can’t resist having some fun with these straight away! Baskets, I love them!! I think I might have a way to use up a lot of my ugly fat quarters this way. After all, I’ve never seen an ugly basket!! Thank you Linda! a Dear Jane block — I think it is J12. Now to decide on a size…. 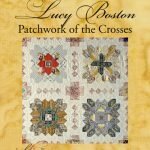 On another note: I am waiting on pins n needles for your next new collection that goes with the upcoming Bonnie Hunter Mystery! Sew happy to hear you two are collaborating! Double the fun. Oh my! I love baskets, absolutely love ’em. This is great!!! THANK YOU, THANK YOU, THANK YOU! I have been waiting, patiently, for this. My granddaughter had surgery this AM and I am up in Birmingham, AL. May I put it on my daughter’s computer, this way I can go buy more material, not that I need an excuse, very nice shops up here. These are going to be such fun! I love that we have the choice of piecing the handles or appliquéing them! Piecing those handles adds some fun choices! Brilliant collections! Love the designs as well as your talent, spirit, and energy!